As far as we can tell, they named the state after the room, not the other way around. 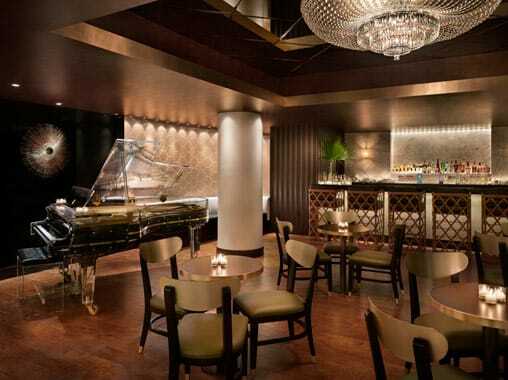 This swank bar is tucked away in the Delano but its no secret. Have a cocktail made by some of the best mixologists in the biz and pull up a seat next to the translucent piano to unwind. If you're lucky, you may get a chance to see part-owner Lenny Kravitz tickle the ivories.